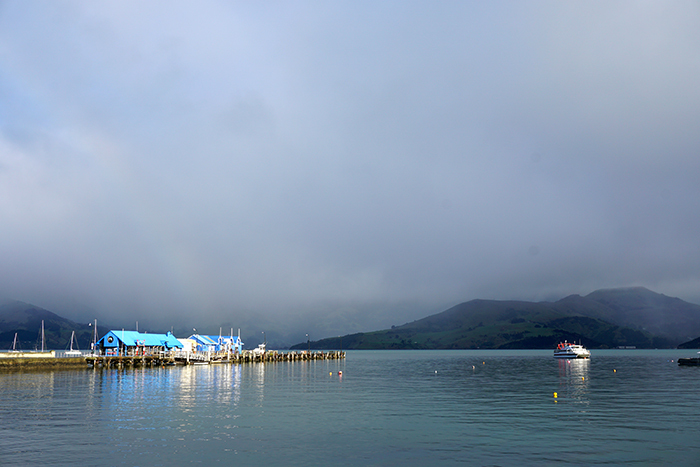 So having made it to Akaroa in one piece I checked into the hostel I booked online before arriving, Chez la Mer Backpackers. The next morning I woke up feeling glad that my hairy night driving adventures were behind me! The hostel was small, a bit on the ‘lived-in’ side, and I can’t say the bathrooms were great – shower pressure, water temperature and cleanliness felt a bit poor – but the other travellers I met there were really friendly and down-to-earth. The hostel also provided hot water bottles for all, free wifi and a nice living room with armchairs to chill out in. I think you have to be flexible with the places you stay, sometimes you get better than you paid for, sometimes it doesn’t quite live up to expectations. As long as the essentials are taken care of – it all evens out! 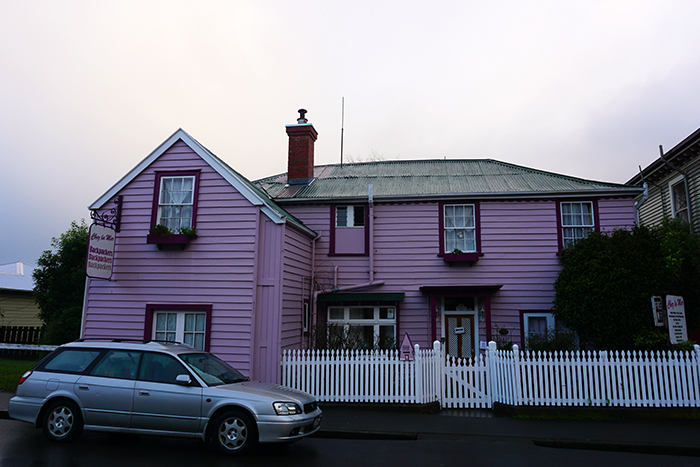 Also, in this case, it’s pink. 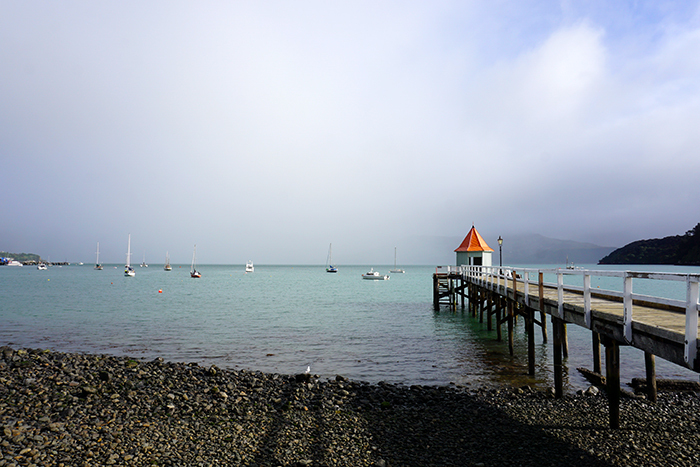 Akaroa is an old British and French settlement; ships carrying both nationalities arrived in the early 1830’s and England claimed New Zealand under the British Realm in 1840. Meanwhile, a French Captain had purchased a large parcel of land here in the 1830’s and returned with French settlers in 1840 to find the British had just staked their claim. 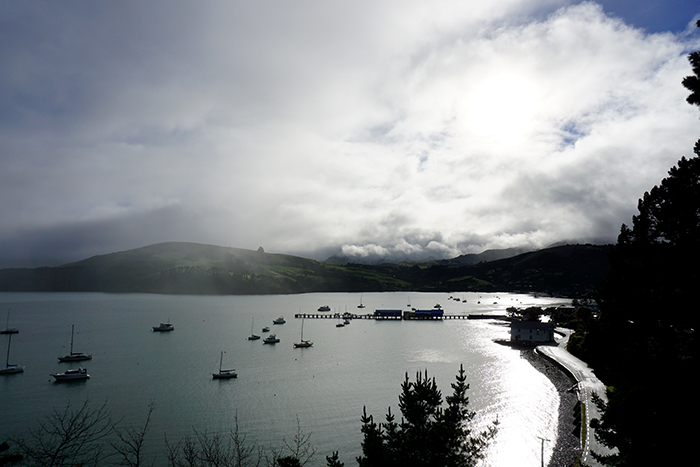 They still established a French settlement which is why there is a French influence in Akaroa. 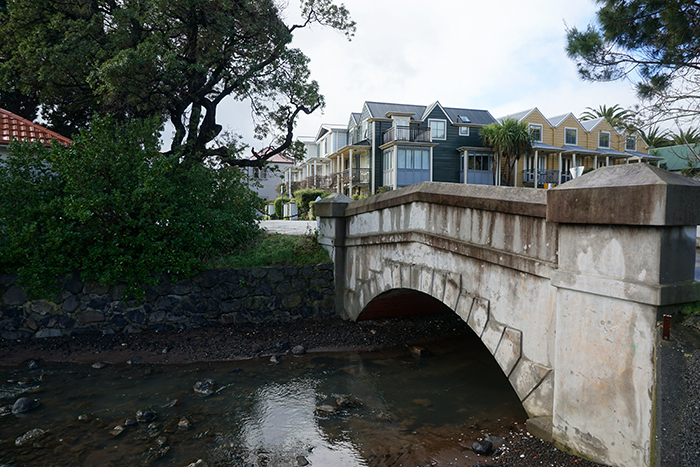 I love finding little French corners around the globe – a favourite was Pondicherry in India – the obvious influences in Akaroa are the French street names, French Cemetery and various monuments acknowledging the early colonial past. 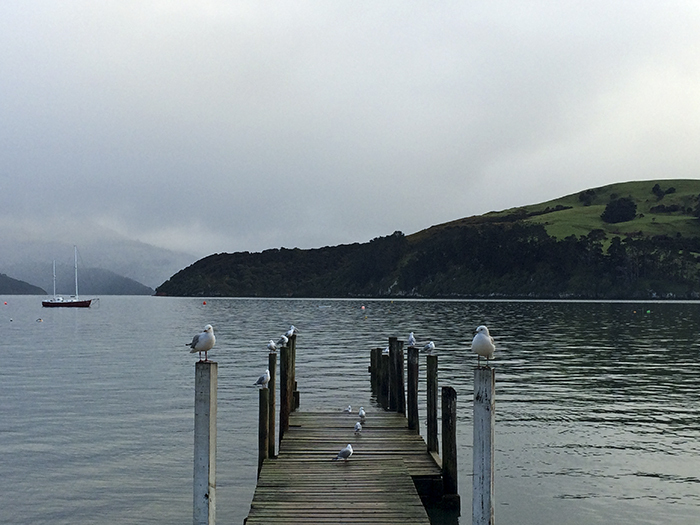 Akaroa is located in the heart of an ancient volcano, on the Banks Peninsula. 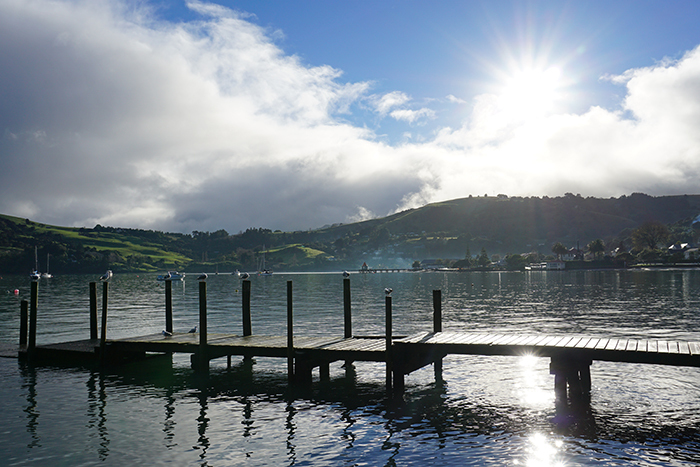 The waterside is so pretty, lovely for an early morning wander, which I topped off with a delicious brekkie at one of the cafés, including a hot coffee to warm me up against the outside chill. With a free day ahead of me and no intention to get back in the car, I stopped in the post office and bought a printed walking tour map somewhat similar to this one. It took me from the centre of town across this pretty bridge. It was a day for a leisurely pace, armed with my camera and rewarded with a gorgeous view at every turn. 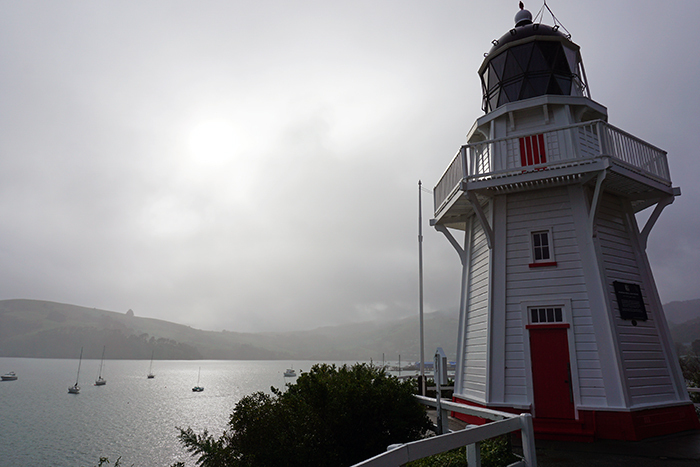 I stopped to admire the very pretty Akaroa Lighthouse, a 140+ year old antique which was moved in three parts in the 1970’s when an automated light was installed in its place at the entrance to the harbour. 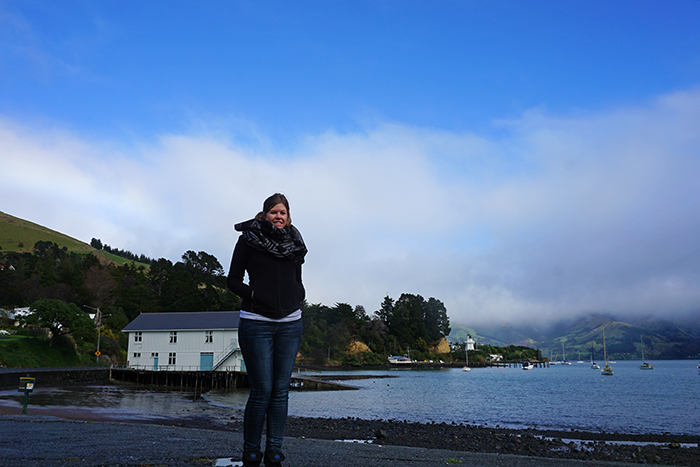 Also a good place for a timer selfie – yes I look cold! Then I found the entrance of the little track that took me up a hill, away from the water and through a bush walk with a well worn track to follow to the town’s three cemeteries. 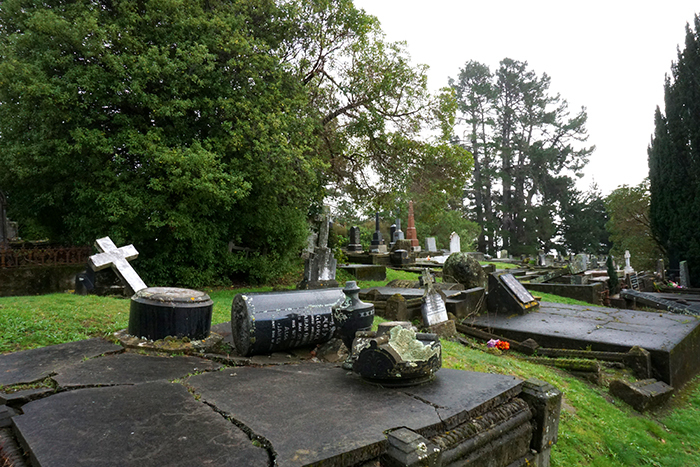 The Anglican Cemetery has an envious view – it was probably the perfect distance out of town when it was established in 1858. There is some historical information here in the Graves of the Gardens walking guide if you are interested in such things. 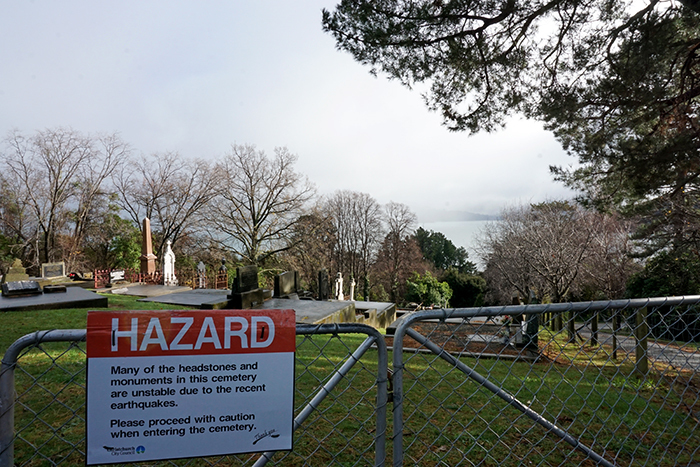 The crazy earthquake activity in New Zealand has left not even the dead unaffected – it was eery to see the destruction to 150+ year old grave stones. 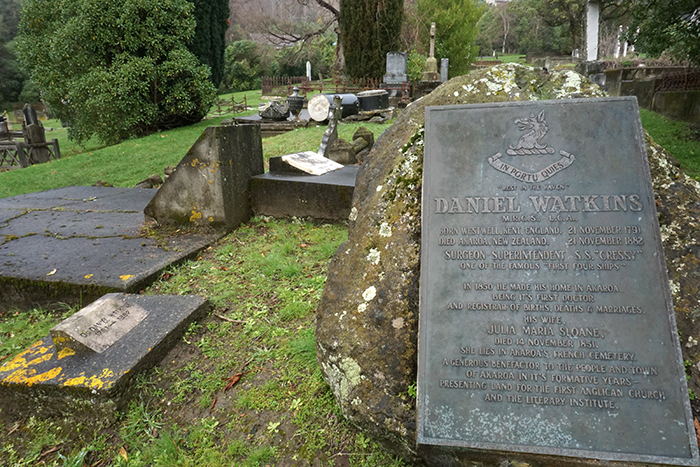 Daniel Watkins seemed like he was kind of a big deal in his day – Akaroa’s first Doctor, first Registrar of Birth, Deaths and Marriages, and the Surgeon Superintendent of the “famous first four ships”. The view was certainly worth the walk, not that it had been that steep, but in the drizzling rain it was a bit slippery and cold. I wandered back into town and that concluded the day’s walking exploration. 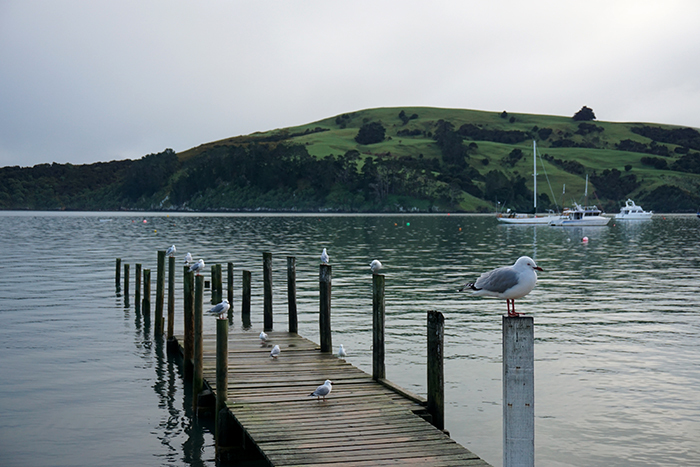 I only stayed in Akaroa the one night so had to head off mid afternoon to get back to Christchurch. On the drive out of town I stopped by Children’s Bay and admired a rainbow from afar. My drive out of town was all the more interesting to me seeing as the drive in had been so veiled in darkness, pouring rain and the threat of an empty tank of petrol. Who knew there had been rolling green fields around me the whole time? And you remember that bar at the the top of the mountain I so gratefully pulled into for help? 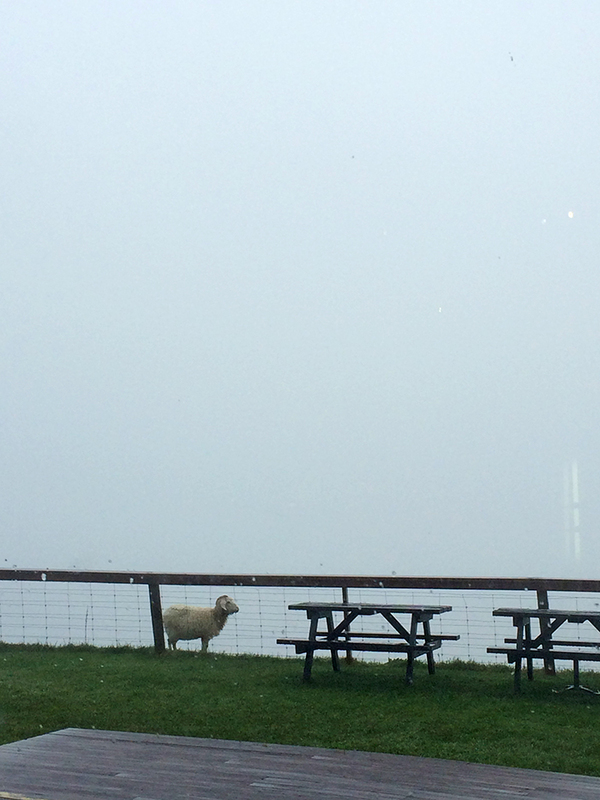 Well I was able to enjoy the view in the daylight… NOT! Just delightful fog. And a sheep. And a delicious lunch! And this finally brings me to the end of my wonderful New Zealand adventures. 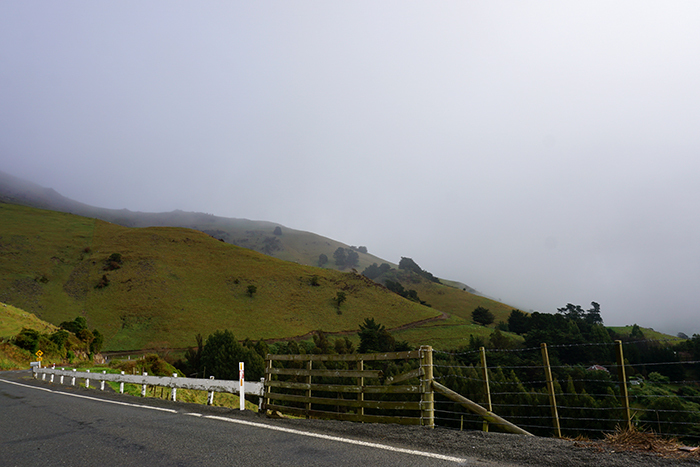 I drove back to Christchurch in an uneventful 90 minutes. Checked into my hotel 5 minutes walk from the airport, leaving the rental car in the carpark for pick-up. I headed to bed super early ready for my 3am wake-up to get on the first flight out in the morning. 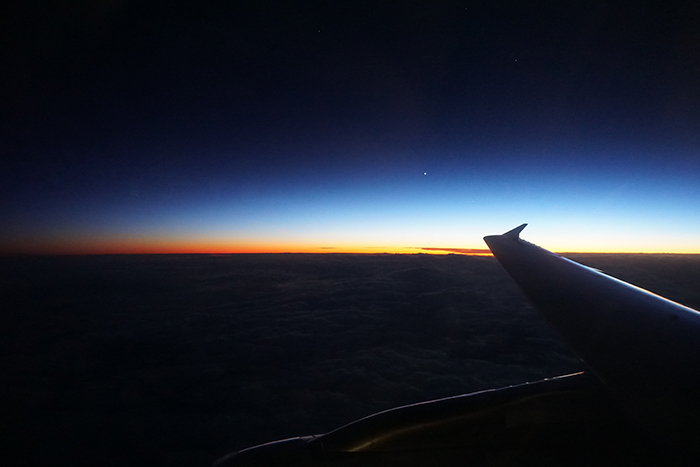 As my plane took off I kept my eyes pressed to the dark morning out the window. 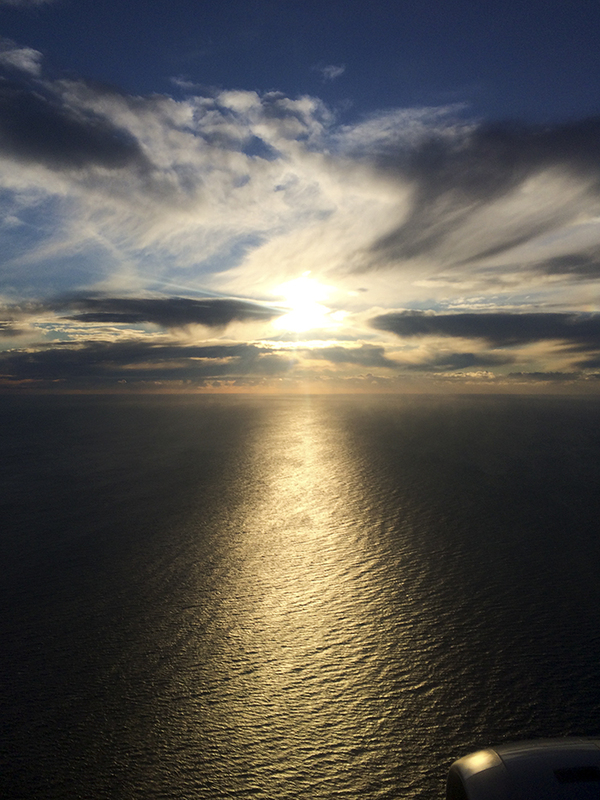 As we soared skyward I saw the beautiful glow of a new day peeking up on the horizon. 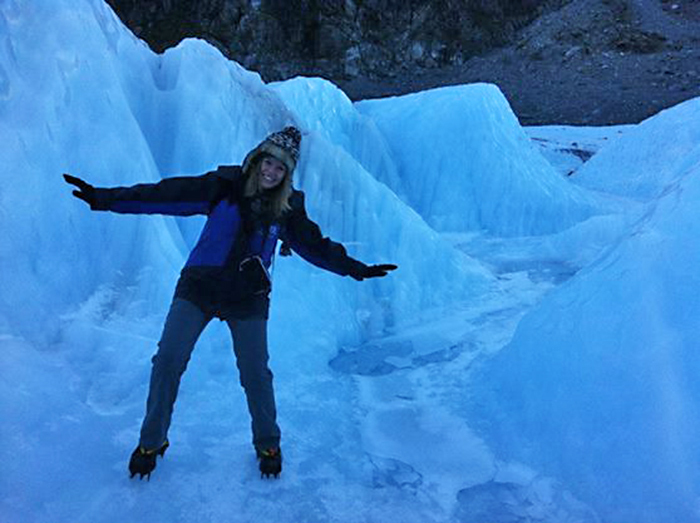 I thought about all the wonderful memories I have from my time in New Zealand, I definitely look back on my Kiwi adventures with a smile. I never stay sad for long when I’m coming home to Sydney though; it’s still the best place on Earth. And as I landed on the glow of a sun rise, I was happy to be home.